Raypak has been servicing the world with its commercial products for over 50 years. The company began in 1947 in a small garage in Southern California. Today they have manufacturing plants in Oxnard, California, Toronto Canada and in England. 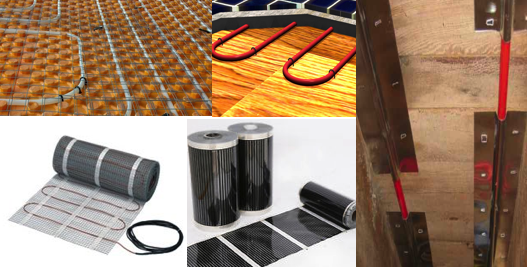 The company’s goal back then and what it is today is to provide only the highest quality products that not just offer high performance but reliability and energy efficiency as well. 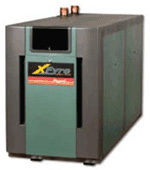 One of their premier products is the XFyre Modulating Condensing Commercial Boiler. This boiler is new to the Raypak Boiler line. The XFyre is available in three different models; each model has a rating higher than the next. The three units are available on 300,000, 500,000 and 800,000 BTUH. Each unit has a 94% efficiency for a hydronic boiler and a 94% efficiency for a domestic hot water heater that goes up to 99% part load. Each model carries the same features such as a minimum inlet temperature of above 32 degrees Fahrenheit and a modulating gas valve and burner that has up to a 5:1 turndown capacity. The XFyre Modulating Condensing Boiler offer a smaller design than some other condenser boilers, these models offer a space of less than 9 and a half square feet. The benefit of this is that you have more flexibility for installation and it is a good replacement for larger size boilers. The XFyre offers a 100% fully protected unit, it is has weatherproof control panels, which are easily located and easy to operate. These boilers come with full cabinet protection of all wiring and controls. The XFyre meets all of the Low NOx standards and regulations and this includes the 2010 SCAQMD revision codes. Each unit is both indoor and outdoor certified and one highlight about the XFyre is that it is the only condensing boiler that is CSA outdoor approved. These units are rated for altitudes up to 2,000 feet. Each unit comes equipped with a factory tested 316L stainless steel heat exchanger, which is ASME H Stamped. The units are 0-10 VDC input for BMS interface. The units has a factory installed onboard diagnostic center that offer plain to read English, there are no codes to look up just straight forward information. All of these features are available on all units. There are some options available as well. Raypak offers a Temp Tracker Mod+, this will control up to 16 boilers including the XFyre, XTherms and the MVBs. Also available are the direct vent options using a TruSeal Combustion Air Inlet Lit with option D-21. Lastly, there is an option available for a Condensate Neutralizer Kit with Option Z-12. These Modulating Condensing Boilers have an 8-boiler cascade capability with the standard equipment. If you are looking for an energy efficient way to heat your commercial application, contact your local Raypak representative for more information. 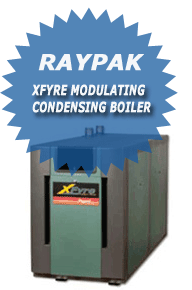 For more information on the XFyre or other Raypak boilers and products you can log onto the Raypak website. Hello,I log on to your new stuff named “Raypak XFyre Modulating Condensing Boiler Review | Wet Head Media” like every week.Your writing style is awesome, keep doing what you’re doing! And you can look our website about proxy list.